An affordable solution for recreational applications. Perfect size for tailgating, camping and power tool use. 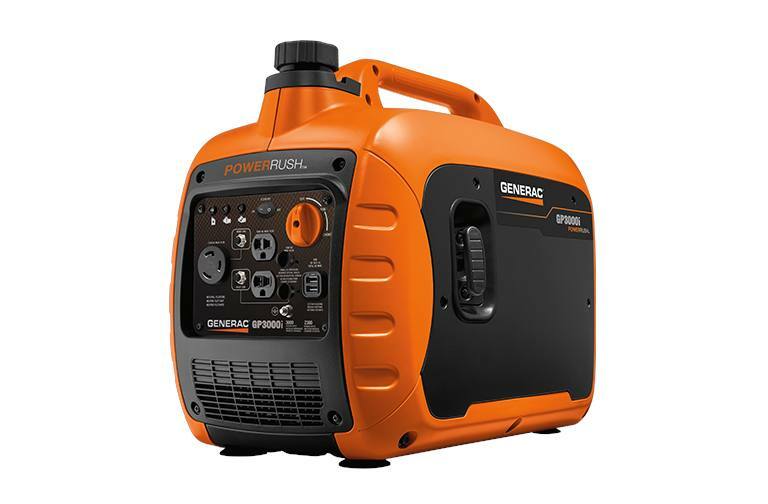 PowerRush™ Advanced Technology delivers over 50% more starting capacity allowing you to do more with less*. Quiet Inverter Power reduces sound emissions and provides optimal performance. True Power™ Technology provides clean, stable power ideal for sensitive electronics, tools and appliances. Easy to Carry compact & lightweight design with built-in handle makes transportation easy. PowerDial™ Choke, Run, Off: three operation settings integrated into one simple-to-use dial. Economy Mode automatically adjusts engine speed to save fuel and reduce sound emissions. USB Ports to charge mobile devices including smart phones and tablets. 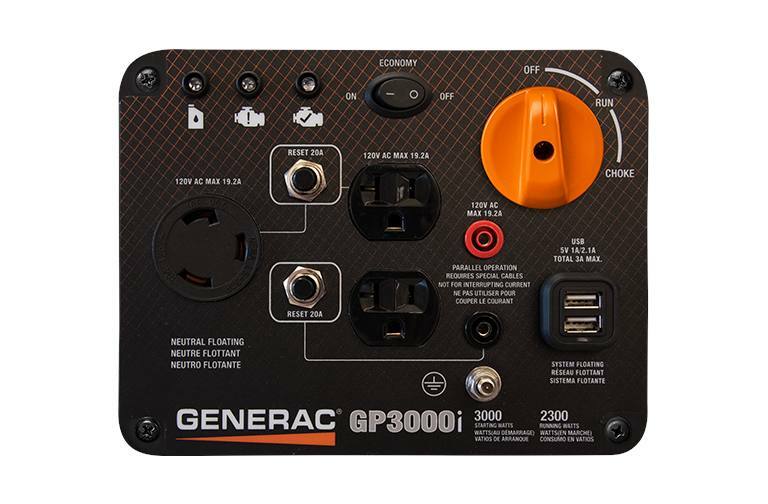 Generator Status Lights visual alerts when unit is low on oil, overloaded or ready to use.